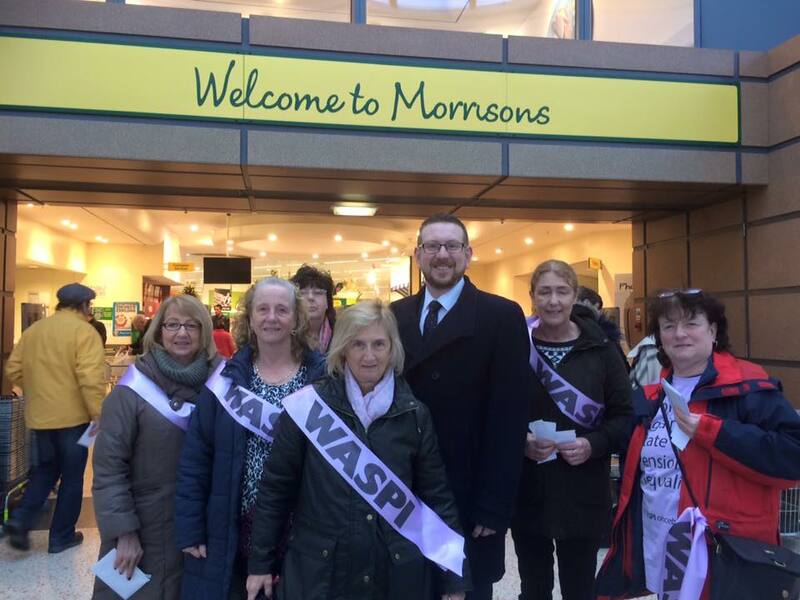 Local MP Andrew Gwynne has joined local campaigners at Denton Morrisons to highlight their campaign to put in place transitional arrangements for women who were hit by the change in pension age. Many women born on or after 6th April 1951 have been unfairly hit by the increase in the state pension age. Many of them have been entirely unaware of the changes, leaving them without employment and adequate support, having not been able to put their own arrangements in place. The campaign calls for transitional arrangements to soften the blow. The 1995 Conservative Government’s Pension Act included plans to increase the women’s state pension age to 65, the same as for men. Women Against State Pension Inequality (WASPI) do not oppose pension age equalisation, but do not agree with the unfair way the changes were implemented. Many people’s retirement plans have been shattered with devastating consequences. “I have been a strong supporter of this campaign for a while now, and I have raised the issue with the Prime Minister and the Work and Pensions Secretary. “The Government suggests we are campaigning against equalisation, but that simply isn’t true. I want this Government to put in place proper and adequate transitional arrangements for these women. I have recently signed the WASPI petition as i was born 6th Sept 1953 so as you can imagine this is a major blow to me, i am grateful that you are backing this.